Meet Bisexual & Queer Women! 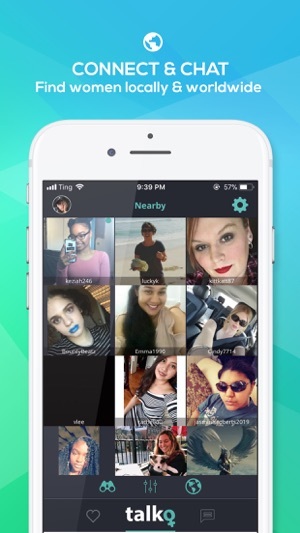 Talko is the #1 Free lesbian dating app and video chat for lesbian, queer, bisexual and transgender women! Find amazing, interesting women locally or worldwide. Share photos, videos, locations, and video chat privately. Why find your perfect match with Talko? 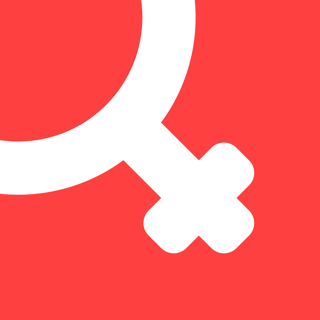 - Chat with, meet & date other lesbian, bisexual and queer women in your area and worldwide. - Traveling? Find & chat with lesbian and bi women worldwide! - Create your profile and show us what makes you… you! - Explore a new, exciting way of dating other lesbian and bi women! It only takes a few minutes to fill out your Talko profile – just upload some photos and let everybody know who you are and exactly what you’re looking for. You’ll be able to search for other lesbian and bisexual women based on your phone’s location, or if you’re traveling, you can expand your search to cities all over the world! Instantly see which women have viewed and favorited your profile. Like them too? Why not chat and see where it goes? With all the information you need on their profile, it’s never been easier to find your perfect match! To build a safe and secure community for all our Talko users, it’s easy to block other users you don’t want to communicate with. If you want to unblock them, that’s easy too! Our advanced AI makes sure no inappropriate images are uploaded to profiles and that our community is women only. Talko now offers Talko Premium for $11.99 USD/Month. If you choose to purchase Talko Premium, payment will be charged to your iTunes account. Your account will be charged for renewal within 24 hours prior to the end of the current 30 day subscription period. Auto-renewal may be turned off at any time by going to your settings in the iTunes Store after purchase and must be turned off at least 24 hours before the end of the current subscription period to take effect. Current Talko Premium subscription price starts at $11.99 USD/month and is listed in full above. Prices are in U.S. dollars, may vary in countries other than the U.S and are subject to change without notice. No cancellation of the current subscription is allowed during the active subscription period. If you don't choose to purchase Talko Premium, you can simply continue using Talko for free. 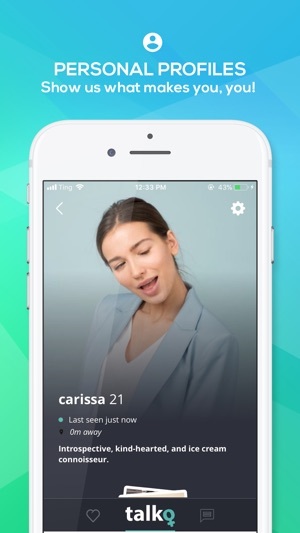 THE #1 FREE LESBIAN / BISEXUAL DATING APP FOR WOMEN – DOWNLOAD TODAY! Bisexual Dating App - Purpled!